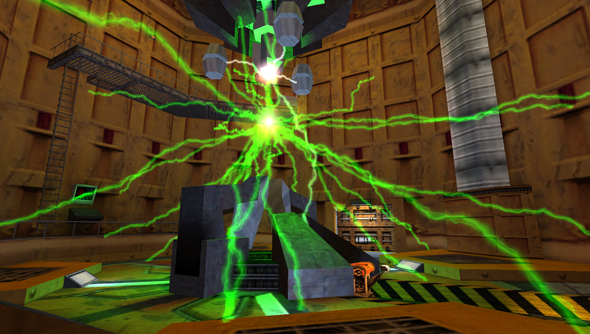 The original Half-Life game has been the running track for many speed runners over the years, with the usually 15-20 hour story being blitzed through in less than an hour. But now the fastest players alive have thrown down a new gauntlet and broken the existing speedrun record. Their new time: 20 minutes and 41 seconds. That’s nine minutes faster than the previous record. Nine. This speedrun has been in ‘development’ since 2010, with years spent painstakingly planning the approach and discovering new techniques to sprint through Black Mesa as fast as possible. The original target was to achieve a 27 minute run, but through the development of new tricks the team managed to slice a whole 7 minutes of their target time, beating the existing run record by 9 minutes. Pretty impressive. “This run has truly been an endurance test for everyone involved, and we’re extremely happy to finally be able to share it with you,” said YouTuber quadrazid, uploader of the speedrun video. Also a test of endurance is watching the video. Hold onto your stomach, especially after the 15 minute mark. The speedrun was segmented – each section tackled individually by different players – and then stitched back together to find the final time. You can check out the details of each section’s time by reading the team’s spreadsheet. You’ll notice that the video contains a lot of ‘bunnyhopping’, a technique that’s used a lot in speedrunning but normally frowned upon in general gaming. The Source version of Half-Life has removed the ability to bunyhop, but by using mods the team were able to exploit bunnyhopping to their benefit. The Bunnymod Pro mod also adds HUD elements to aid the speedrunner, which you can see in action in the video.